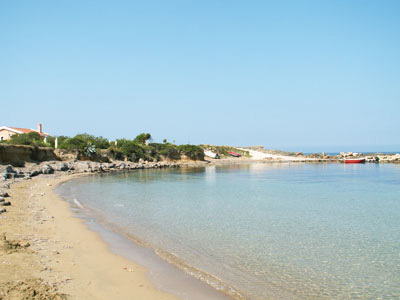 The beaches in Minies are about five kilometers from the capital of Kefalonia, Argostoli. There are three beaches in front of the village, of which the first is organized and the other two not. ‘See’ to Vardianoi, two of the small islands of Kefalonia. The sand in Minies is fine and gold and has stunning environment. Sun beds and parasols are available on the first beach is abundant and it will no difficult to find, even in August. Generally, Minies is crowded, as is preferred by the locals, because of its easy access, but also the countless residents of tourist accommodations, available also in abundance in the area. The waters are shallow and calm, and encourage swimming and playing with the sea for small children. On the beach, there is a canteen to serve the swimmers. Very close to Minies, is the island’s airport, so you can combine your dives here with your flight, if you wish.